At the most recent World Media Intelligence Congress held in Washington, DC, FIBEP welcomed Metro Monitor as a new member. 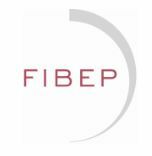 FIBEP is the world’s media intelligence federation with over 120 corporate members from over 60 countries. The federation and its members are focused on providing enterprise-scale solutions in the fields of PR distribution, media contact databases, media monitoring, and media analysis. The members of FIBEP represent the market leaders in the fields of media monitoring and media analysis and we are honored to be a part of this global association. Metro Monitor’s president, Bryan Council, was recently interviewed by FIBEP regarding his thoughts on the US media monitoring market and the integration of news monitoring with business intelligence. A link to his interview is available here.